Benjamin Winans was born on 17 September 1962, in Detroit, Michigan, USA, and is an R&B and gospel singer, best known for being part of the Winans family, most of which are known gospel artists. He’s released several albums alongside his sister CeCe Winans, he was part of “The PTL Club” as a vocalist for the show also with his sister, and he’s had a successful solo career too, and all of his endeavors have helped put his net worth to where it is today. How rich is BeBe Winans? As of late-2016, sources inform us of a net worth that is at $3.5 million, mostly earned through a successful career in the music industry which began in the early ‘80s, and as he continues his career it is expected that his wealth will increase. BeBe started his career with his sister CeCe, and the duo would release several albums. They would then join “The PTL Club” as background vocalists when the show found interest in their abilities. They stayed in the show for five years, and recorded “Lord Lift Us Up” as part of PTL’s label, the success of which would lead to a full-length album that charted well. This then led them to decide to leave PTL and pursue their own singing career. The duo released “BeBe & CeCe Winans”, “Different Lifestyles”, “Relationships”, “Heaven”, and “First Christmas” all of which helped increase his net worth. They then split up to pursue solo careers in 1995, only later recording the 2009 album “Still” which had the song “Close To You” that won a 2010 Dove Award. BeBe’s solo career started long before he split with his sister. This was when he won his first Grammy in 1989, thanks to the track “Abundant Life” which was part of his brother Ronald’s Family & Friends Choir. In 1997 he signed with Atlantic Records, and released a self-titled solo album which contained the hit “I Wanna Be the Only One”. Three years later, he released “Love & Freedom” under Motown Records. The album featured several artists, and two years later he followed it up with the live album “Live & Up Close”; these consistent releases helped the continuing increase of BeBe’s net worth. In 2003, Winans decided to create his own record label called The Movement Group, partnered with Still Waters. He released his first album under the new label called “My Christmas Prayer” which first appeared as an exclusive sale from Starbucks. Concurrently he also had a small role in the film “The Manchurian Candidate” which starred Denzel Washington. In 2005, BeBe released his third album entitled “Dream”, featuring the song “I Have A Dream” which featured samples of Martin Luther King’s iconic speech. During the 2008 Alma Awards, he performed a duet with Eden Espinosa and then worked on his reunion album with CeCe Winans. 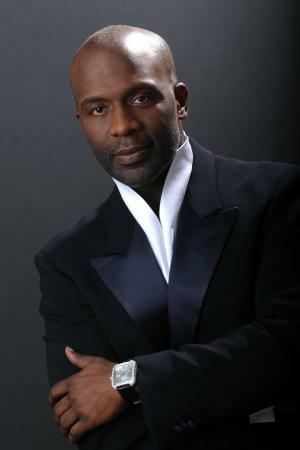 He also hosts his own radio program entitled “The Bebe Winans Radio Show”, and starred on Broadway in the production of “The Color Purple”. He was also a judge in the competition called “Sunday Best”, and one of his latest works is the memoir “The Whitney I Knew”, about his close friend Whitney Houston. For his personal life, it is known that BeBe was married to Debra (1987-2003). He has had several legal issues throughout his career; one case was against his former business manager Eric Peterson whom he sued for breach of managerial contract. In 2009, he was arrested on charges of domestic assault, though they were later dismissed. Siblings BeBe & CeCe Winans, Marvin Winans, Ronald Winans, Carvin Winans, Daniel Winans, Angelique Winans-Caldwell, Michael Winans, Debra Renee Winans-Lowe, David Winans Jr.
2 Brother of CeCe Winans. 3 Uncle of Mario Winans. Stevie Wonder with Friends: Celebrating a Message of Peace 2013 TV Movie performer: "Jesus Children of America", "Heaven Help Us All", "Reach Out and Touch Somebody's Hand"
Brother White 2012 performer: "I Believe" / writer: "I Believe"
Broken Bridges 2006 performer: "Uncloudy Day"
Boycott 2001 TV Movie performer: "Jesus Children of America"
Snow Day 2000 writer: "Say You Love Me"